Waterproofing is an important step to take in making sure that your house is protected from water damage. It can be done from the inside or outside, though it is best to be done on the exterior of the foundation. This is because exterior waterproofing stops the water from getting into the foundation itself, whereas with interior waterproofing the moisture can permeate the foundation which can cause issues. 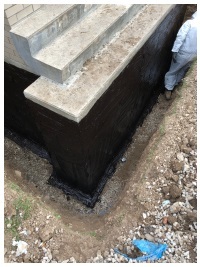 Waterproofing is best to be done in the warmer seasons, as that way we can take care of the waterproofing on the outside of foundation. 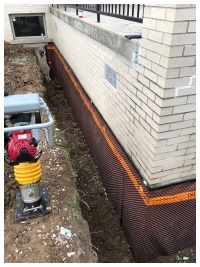 Waterproofing basements and foundations is done by applying a sealant directly to the foundation that stops the water from getting into existing cracks or pores in the brick and concrete. It is recommended t oget done if you know that there are existing large cracks in the basement walls or foundation. It can also be done as a precautionary measure if you live in an area prone to flooding or close to a body of water. Having your basement waterproofed can help add value to your home, as it shows that the building has been well taken care of and that there is a low chance of their being any water damage. Preemptively having your basement waterproofed can also help to reduce any chance of getting mold or any water damage. 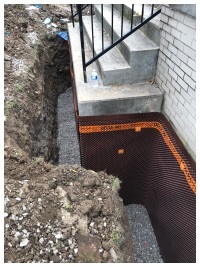 If you have any questions about having your basement and foundation waterproofed, please give us a call and we'll get out to see you and provide you with a quote.